This version is a public update for regular and pre release installs. 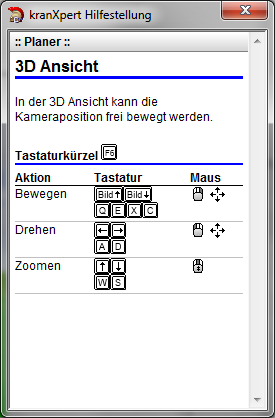 Added in the menu Options/Settings… a default used font size. 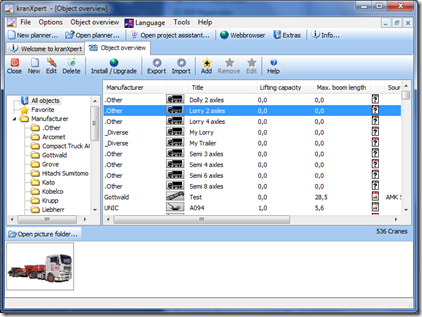 In the ‘Object overview’ and in the object selection added a search editbox to filter the display list. 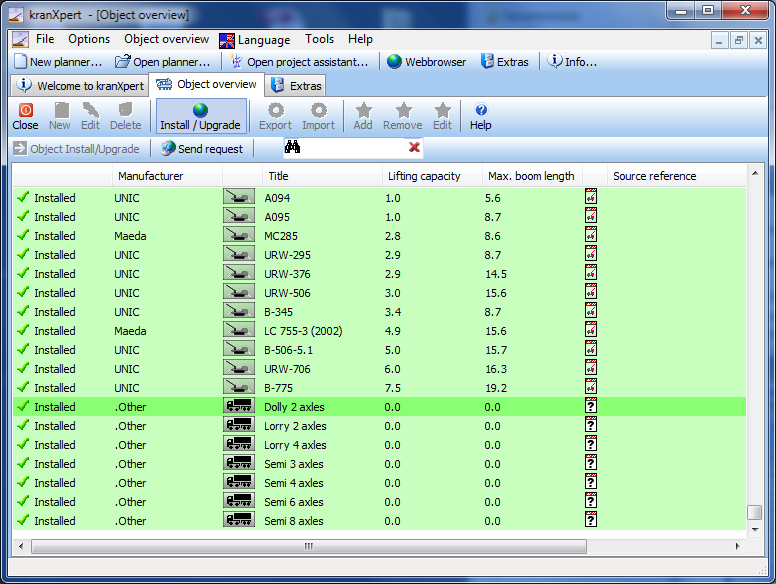 In the Install/Upgrade function now you can filter the object list with not installed, installed or update availabel. 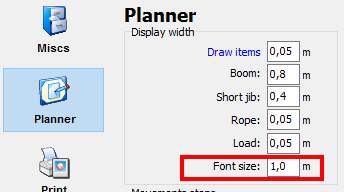 In the project assistant added at the borderline a checkbox to draw the dimensioning to the planner. When you install a crane the import window shows now more information that it don’t looks like that the application is frozen. 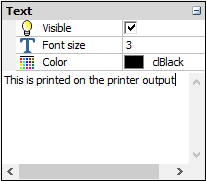 Added in the print preview a text area that is printed on the drawing as a addional text. 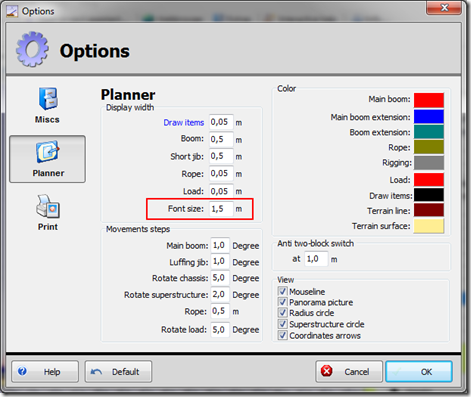 In the print preview added a ‘Copy to clipboard’ function to the toolbar. 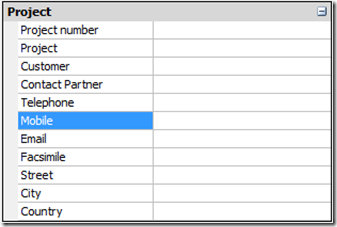 With this function you can copy the current view in the clipboard and insert it in other application, maybe in a office application where you can create a lifting documentation. In the 3D view you can now select also the Front, Left side, Top and the 4 views. 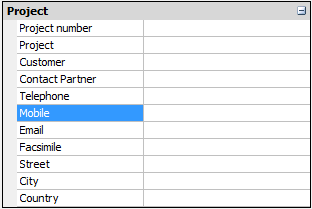 Added to the project information mobile and email input. 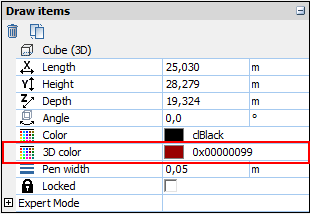 Fill color support for 3D elements, only visible in the 3D view . Fixed a bug where the application crashes when drawing a polyline. 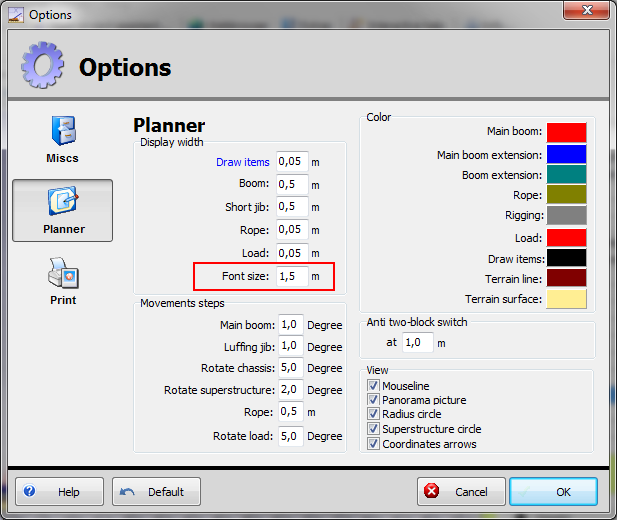 In the print portrait view fix the position for the telescope chart number. Fixes a bug where the printed charts not display all rows. Fix a bug when moving the view with a terrain. Fix a path bug where the wrong path was used for the kranXpert logo and crane images. 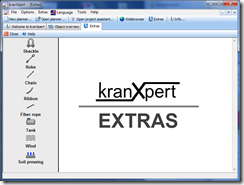 A new kranXpert version is available. 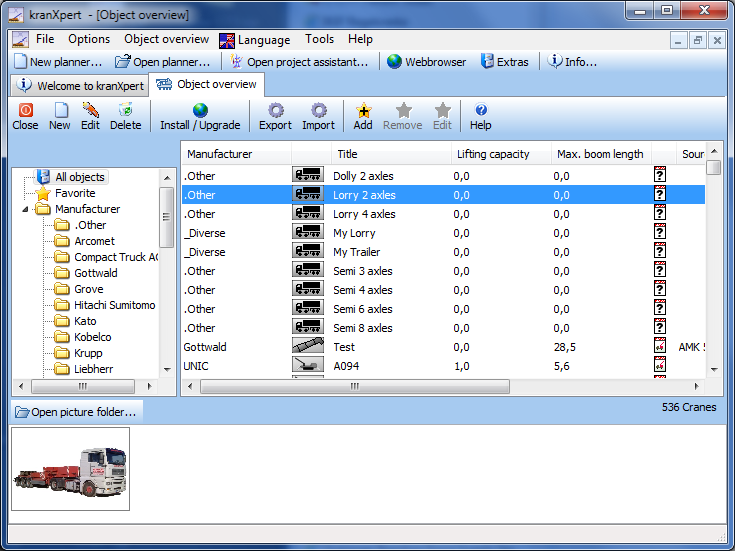 In the ‘Object overview’ (main menu ‘Options’) you can create cranes or lorry’s and edit objects or create export files of your new objects. 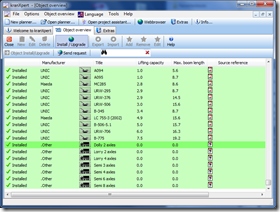 We remove the fleet overview and replace it with the favorite list that you can manage in the Object overview. 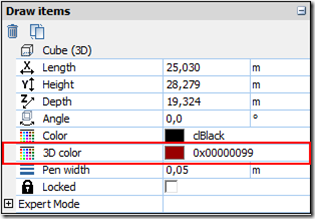 – Objects with book symbol are not editable. To know, how you can build lorry’s, you can import some samples over the ‘Install/Upgrade’ button, the lorry’s are at the bottom of the list. The tool Extras are now HTML based, that’s mean you can change the content of these files with your own information’s. 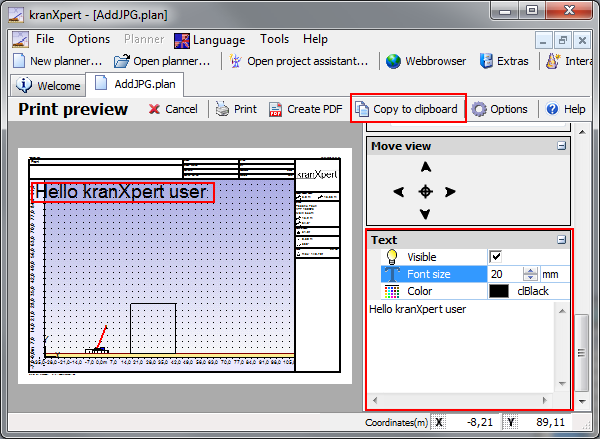 The HTML files are installed in the kranXpert.exe executable folder as a subfolder extras then the language folder de=Germany, en=English, es=Español. You can add new menus to the menu.htm and that shows in all pages as an iframe tag. 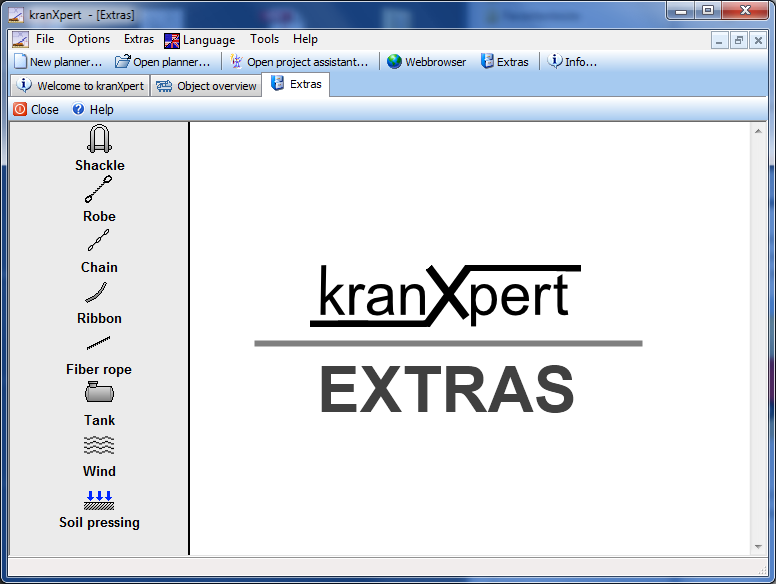 We made a video for the different background styles of the new in development kranXpert3D version. Color, you can select a color. 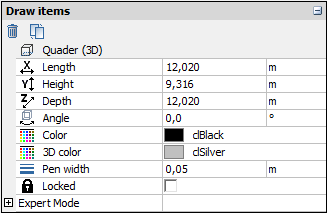 Color gradient, you can set the begin and to gradient color. Panorama, you can select a picture that texture on a cylinder. With some picture cameras you can shot 360° pictures and with stitching software can you create a outright view that you can use with this panorama style. 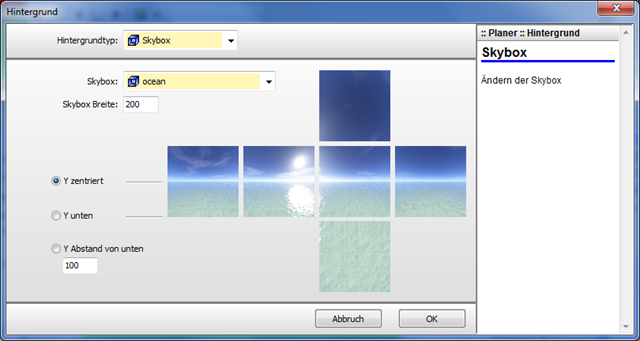 Skybox, the scene is in a cube and every surface of the cube has a texture that really good for outright view. 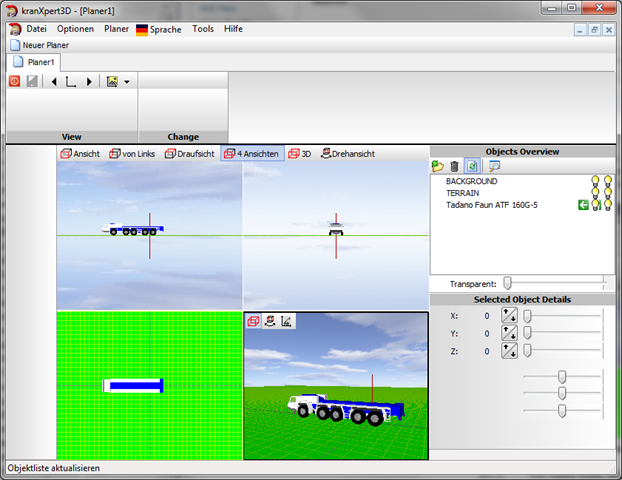 currently we work on a new 3d crane lift planner version of kranXpert with different background styles like: single color, two color gradient, picture, panorama picture, sky box. 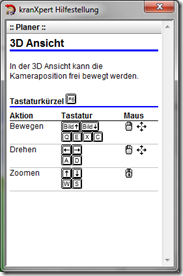 The views front, left, top and the rotation view is like in the kranXpert version but we add a new 3d view where you can move the camera. We want support different 3d file formats insert as clipart and build our own graphical file format with object bindings. 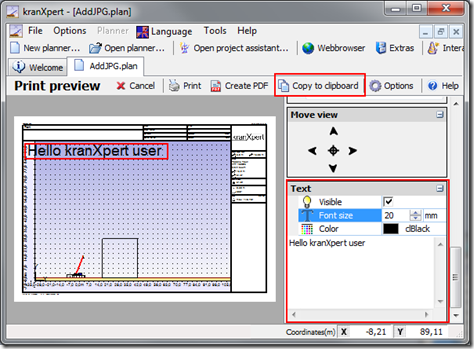 The help system is based on html files and are action based viewed in kranXpert3D, not like the static chm help system in the current version. The language files are outside the executable that anybody can add/change the languages without compiling. Please don’t ask for a release day, we can only say ‘It’s done, when it’s done’.